Mace is the midrange for the masses. 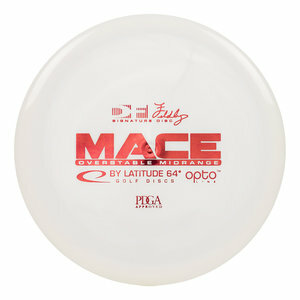 Being the fifth Latitude 64 mid, the Mace has taken the best of our previous molds to end up as a very solid all you need midrange. The Mace can handle a big arm and also be controlled by players with less power. It will hold a hyzer line, fly reliably straight or work its way back on a long anhyzer drive. One disc challenge? Look no furtherOur viking ancestors never went into battle without their favorite Mace. That mindset is now valid again.